Schezwan is a province of china and people from this area are fond of eating hot and spicy food. Hence all schezwan recipes are cooked with hot and spicy schezwan sauce. Its really easy and quick to cook and hotticious to eat...Here goes the recipe of Schezwan Rice. Wholesome and healthy, steamed and spiced dumpling made from wheat flour, selected veggies and basic spices. Muthia is a traditional Gujarati tea time snack. Muthi means 'Fist' in Gujarati so while steaming process we give them fist shape. Traditional recipe calls bottle gourd and methi which gives best flavour and texture. but you can play around with your choice of vegetables i.e grated cabbage, carrot, palak, corn etc...Tempering with sesame seeds along with mustard and cumin is a specialty of gujju snacks but here I tried to make fusion Muthia called Muthia Manchurian and seasoned it in chinese style with sauces. Here goes the recipe of Traditional Recipe of Muthia. A versatile crumbled paneer (Cottage Cheese) subji cooked easily and quickly with basic masala. Paneer Bhurji is one of the easiest and quickest recipe. It can be made with very basic spices/masla and vegetables which are always there in everyone's kitchen. Everyone's favorite as it can be used or served with almost anything. I make it every other day for son's lunch box as he is a biiig fan of paneer. Here goes the recipe of Paneer Bhurji. Mixed vegetables is cooked with finely sauted onion tomato gravy. I believe in cooking food the more simplest way with less ingredients, but with more love and that will ensure it tastes hearty and delectable. 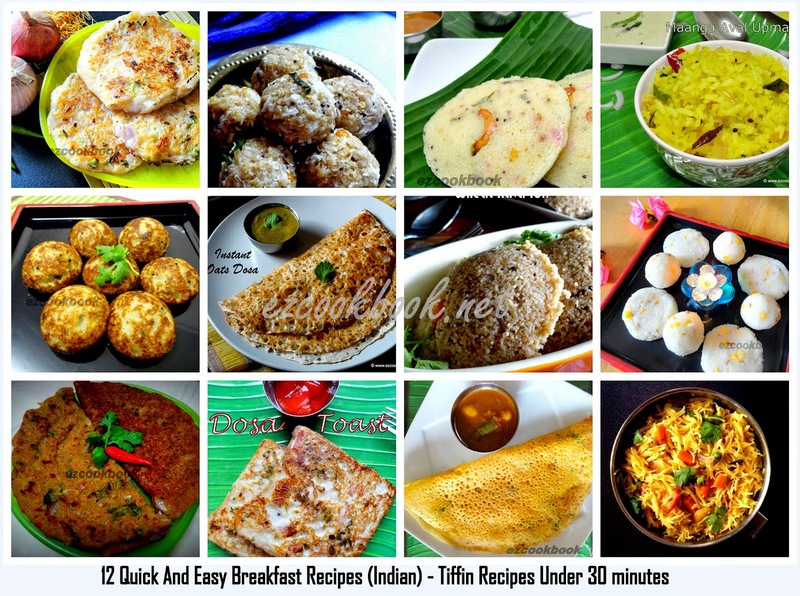 This is one such recipe which I use to prepare often for my easy and simple weekend meal. Try this with Jeera pulao or paneer peas pulao. Crispy to chomp, yummy to munch a perfect healthy guilt free snack for your beloved family. A snack made of ragi / finger millet and drumstick leaves. This recipe is from my Amma.... She use to make this as evening snack during our weekend holidays. I love the way she makes this delicious snack with added nutrients such as ragi, drumstick, peanuts. Probably I can say it as a traditional recipe comes through generation. We use to munch with all family membebs at home with a nice chit chat. Off course with a cup of hot tea. Spicy tasty Plantain podi with tamarind, lentil and chilli combination. Delicious rice recipe with chickpea and babycorn combination. Seasoned with fresh homemade spice masala. This simple and delicious rice preparation is the first recipe which I drafted in my hand written cookbook. So its a hearty recipe to me. The masala I used here has a unique taste and that blends with any vegetable combination. I tried cooking with capsicum, brinjal, okra, everything works good. Serve this rice with a cucumber raita or simply with a spoon of natural yogurt and some chopped fresh coriander/ cilantro, which acts as a perfect foil for the spiciness of the rice. This colorful, appealing, protein rich rice is a perfect lunch box pack for a filling meal. Grilled Kebabs or perfect party starter prepared with grated sweet corn and potatoes paired up with spices. Corn Seekh kebabs are very famous as they are perfect as snack or party starter. Either you fry it, grill it or bake in oven, it will taste awesome and give your party a good kick start. Here goes the recipe..
Baby Potatoes, baby Brinjal and baby Tomatoes cooked with sauces in Chinese style. Complete your meal with this Exotic and colorful baby vegetables. Serve as a side dish with roti/naan/chapati or your favorite rice. Follow the recipe here and prepare this mouth watering dish for your loved ones. Crispy stir fried Okra/Bhindi and Onion with a touch of flavorful selected Indian spices. Bhindi Do Pyazaa is a famous and available in almost all North Indian restaurant. 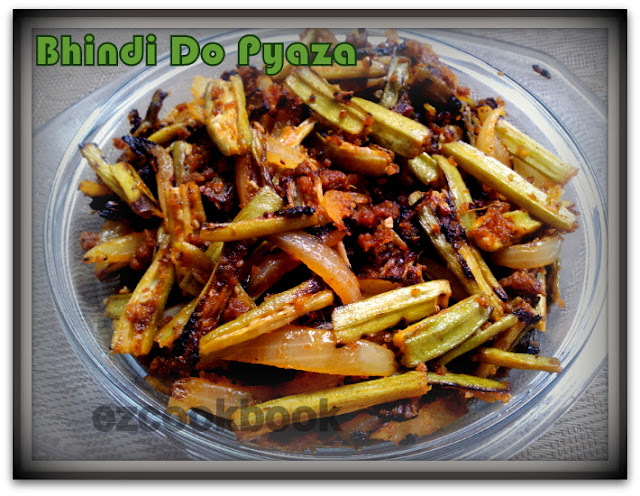 Crispy Okra and Onions paired up with aromatic spices attracts Bhindi/Okra lovers and others as well. It can be served as a side dish with Roti/Naan/Chapati. Tangy sweet and spicy tamarind chutney with tongue tickling taste. side dish often served with pongal rather than kathirikai gothjju. This tastes tangy with the spiciness of the secret masala. The masala is not so unique but when combined with tamarind sauce gives excellent flavour. Originally we call this chutney as "Pachi Pulusu" in Telugu. This goes well with dosa / Idli. Delicious sweet rice made with a combination of rice, dhal and jaggery . Sarkkarai pongal, a very famous sweet recipe made of rice, dhal and jaggery combination. The most famous neivedhyam prepared in almost all temples in southern part of India. Whenever there is a religious festival this is made at all south Indian homes. As pongal festival (tamilar thirunal) is ahead, people from tamil nadu prepares this special dish using earthens pot and offer to god (suriya bhagavaan ), earth and their cattles to pay their thanks for bountiful harvest. Probably can say Indian Thanks Giving day. Delicious fuss free one pot meal - Basmati rice flavored with cumin seeds. This is a hearty one pot meal comes with the most flavors of cumin seeds. The cumin gives beautiful outlook over the rice leaving its unique aromas. As a well know fact that cumins are good for digestion and act as a cooling agent, these are widely used in many Indian cuisines.This pulao is very good eaten with a hot and spicy curry with a glass of spiced buttermilk.This is a wonderful start for all the beginners who learns to cook that compose less ingredients. Green Beans and Bengal Gram cooked in spicy coconut paste. This Beans kootu is simple but delicious which tends to have a combination of fresh and dried ingredients: to make use of the abundant sauce , serve with hot rice. If you are spice lover include chillies more. The vegetarian recipes you find in many Indian cuisines are some of the most delicious in the world as they embrace the flavors letting speak themselves. This is one such kootu that is a perfect treat for spicy taste-buds. Usually my mom use to prepare this recipe with cauliflower, for a change I tried with beans and even I recommend with cabbage. This comforting side dish goes well with roti / paratha. Sometimes with Indian breakfast like Idli, dosa and even with Kerela style Appam too. Healthy mixed garden veggies with tofu are grilled and seasoned with honey and black pepper. Honey Roasted Veggie Salad is a perfect recipe for health and fitness conscious people like me, who are always in a search of healthy and balanced nutritious recipes. Go green and calaricious after having all fatty food in festive season. Try this healthy recipe of Honey Roasted Veggie Salad. A simple south Indian Style plantain stem stir fry with the spicy touch of chilli and dash of fresh coconut. Hi friend hope you all enjoyed the wonderful start of the new year 2013 and I welcomed it in a most joyous way with lots of celebration. Coming to today's recipe a simple and healthy stir fry using plantain stem also known as banana stem and popularly known as vazhai thandu in tamil.